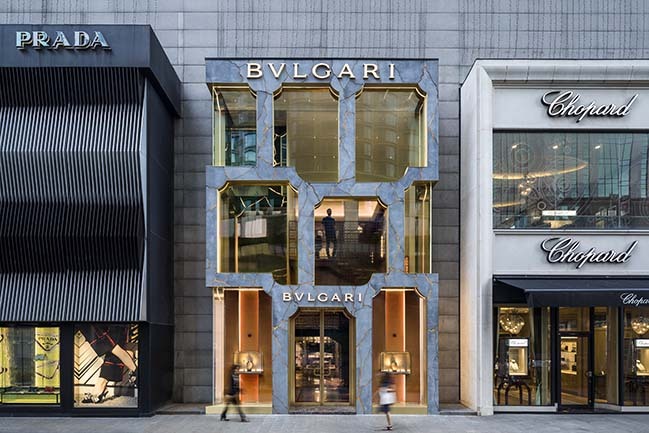 Bulgari’s flagship store in Kuala Lumpur has opened with a new façade that imagines the luxury brand’s heritage and experiments with traditional materials. 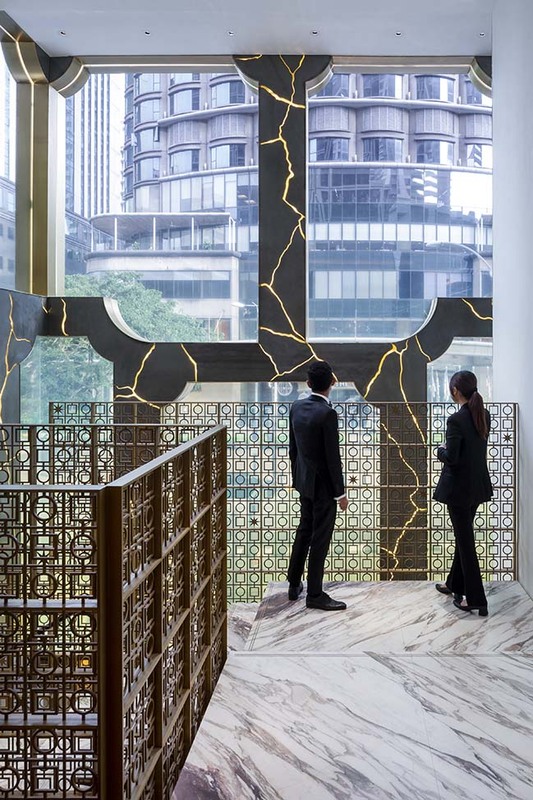 The Kuala Lumpur storefront is the first in a series of MVRDV façade designs for the luxury brand. 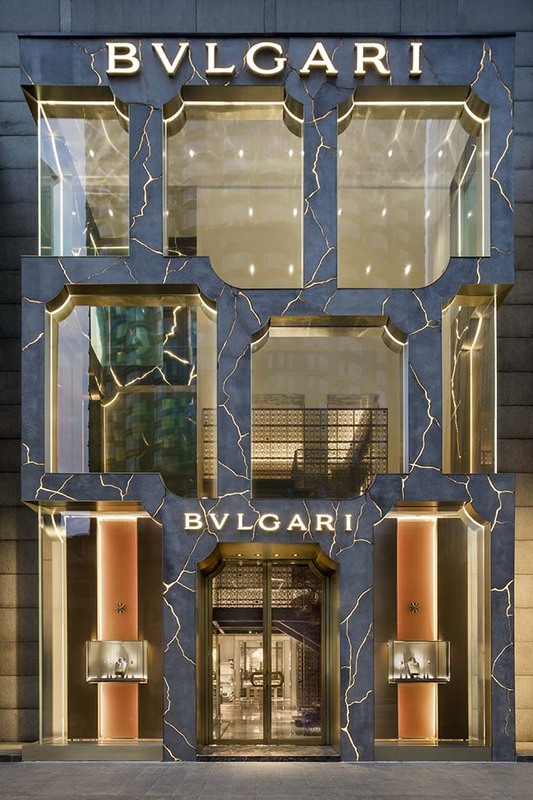 This concrete and resin facade is permeated by gold light to create a marble-veined façade combining Bulgari's signatory cornice from its via Condotti store with a world of exuberant materials. 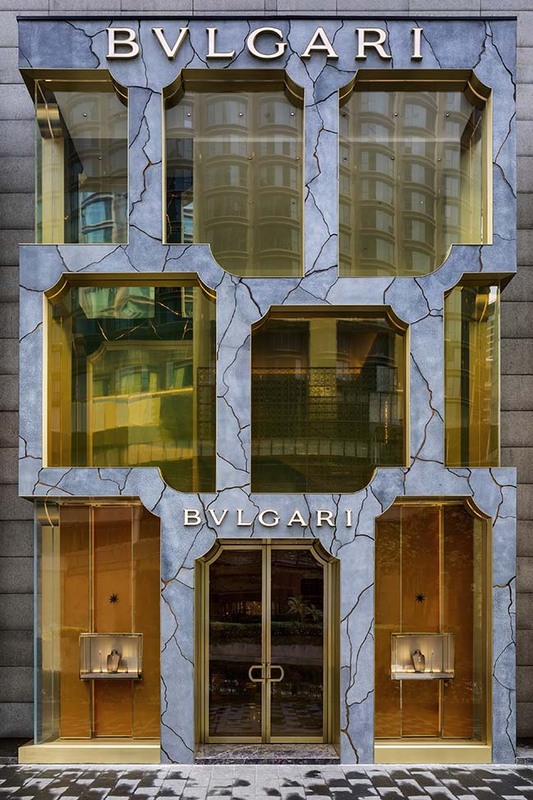 From the architect: Located in the heart of the buzzing Bukit Bintang district, and one of a number of offerings for luxury goods in Pavilion Kuala Lumpur Shopping Mall, the Bulgari flagship store has been updated with a striking concrete, resin and brass façade. 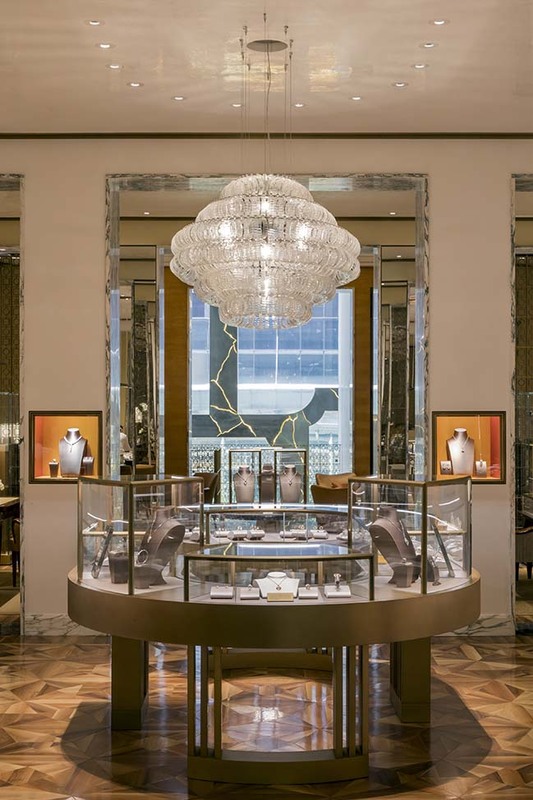 For over a century, Bulgari has set the pace for Italian style with a forward-looking, creative spirit that draws inspiration from the timeless beauty of Roman art, while giving it a distinctive contemporary touch. 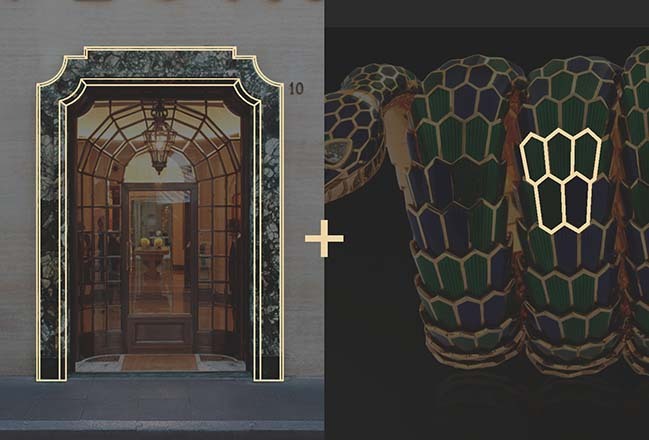 MVRDV developed a catalogue for Bulgari international storefront façades, a strategy that can be adopted for future stores, making them instantly recognisable and unique in any global location. 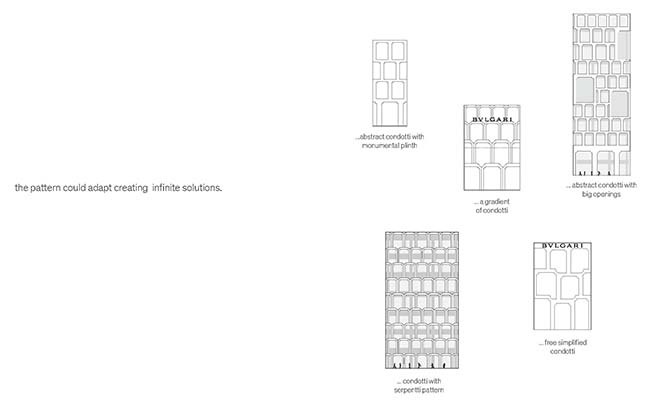 An approach offering endless possibilities that combine sophisticated detailing with high-quality materials. 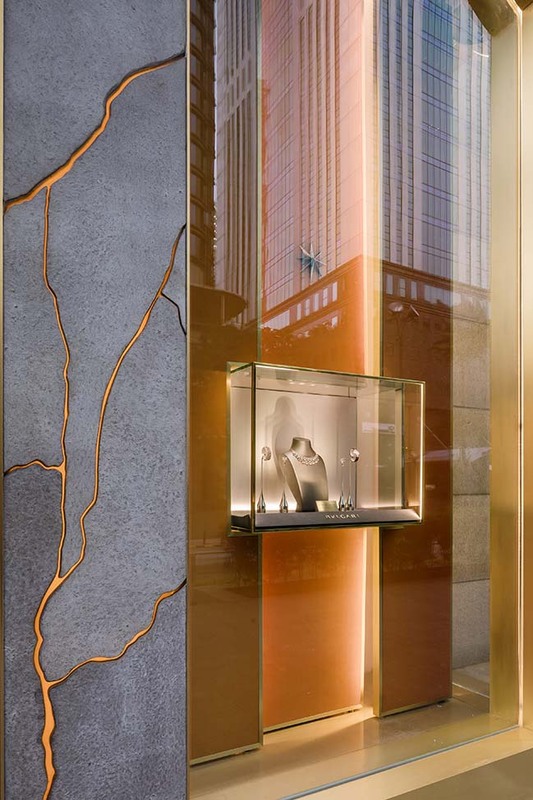 The glass of the façade is framed in brass and has an amber colour that fades towards the top of the building. 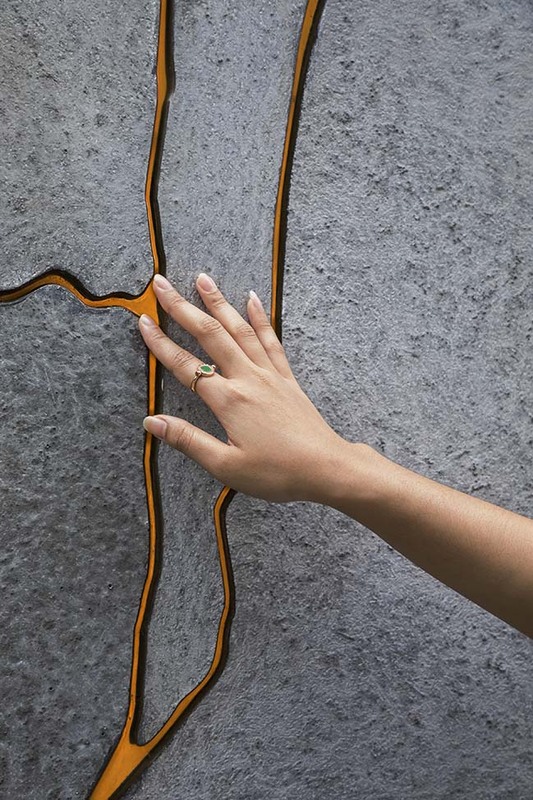 This new product consists of glass fibre reinforced concrete with veins filled with golden resin for both interior and exterior facades. Light permeates through the veins in the facade, making it resemble marble. After conceiving the initial design, MVRDV worked closely with a number of partners including a research team at TU Delft and Tensoforma who worked on façade production. 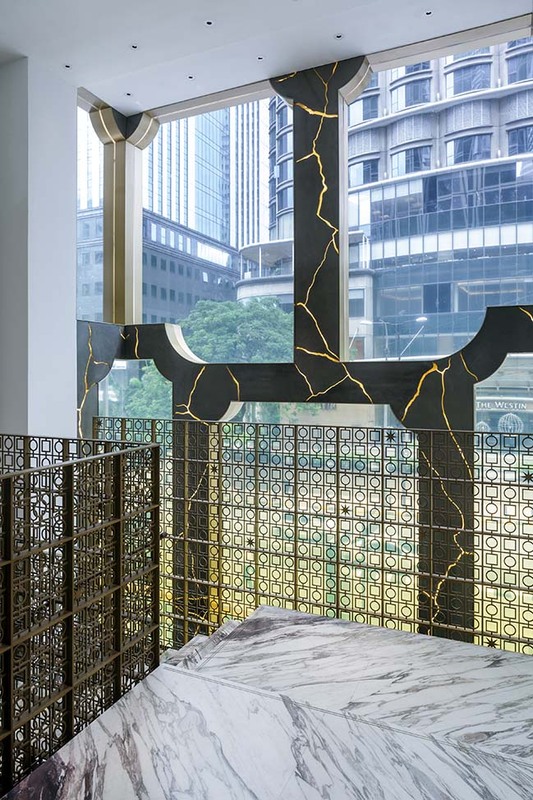 The cornice of via Condotti is a set element used symmetrically in different locations over the world, and its iconic marble façade will be reinvented and reinterpreted by material experiments. 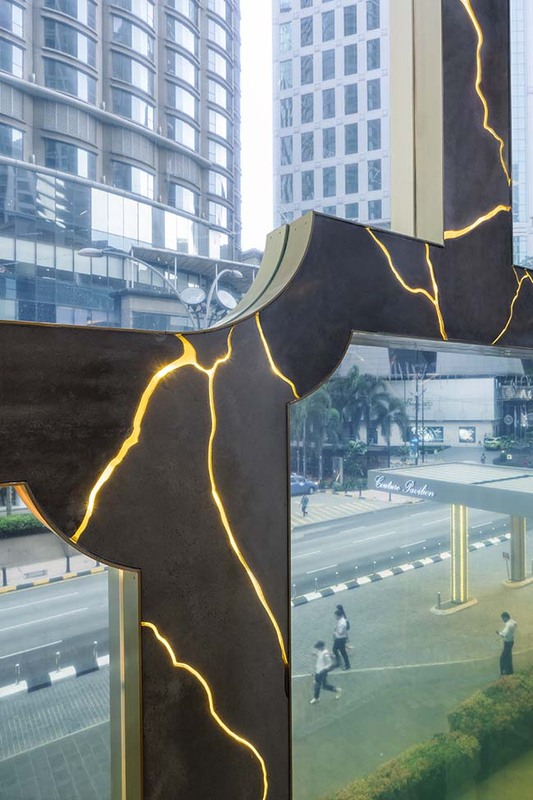 In Kuala Lumpur, a concrete and resin façade is permeated with gold veins illuminated from the inside. 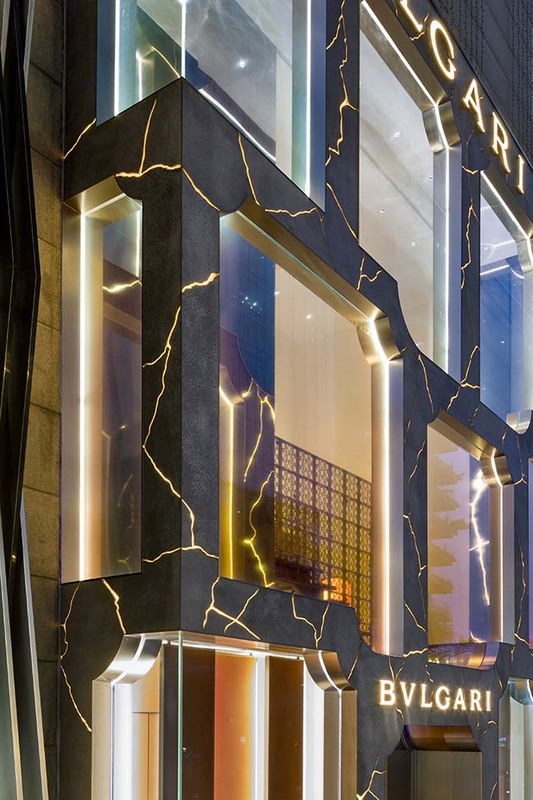 By day, the store façade is organic whilst at night a more dramatic effect is reached.